Thread: Show off your Pittsburgh Pirates items! I was at the store tonight, and saw one of the Hair-a-tage NIKE shirts with "Pops" Willie Stargell on them. I went home and showed my wife some clips of him, and she noticed I do the same bat twirl while I am waiting for the pitch (I play in a summer baseball league, as well as softball for my company) he invented. I told her how all the kids growing up outside of the 'Burg did that twirl, emulating the man, Willie. Sadly, I have NO game used Pirates gear anymore (just a team signed cap), as their ownership has turned me off since Willie's passing in 2001. But it made me nostalgic, and I am thinking of getting back into collecting them. 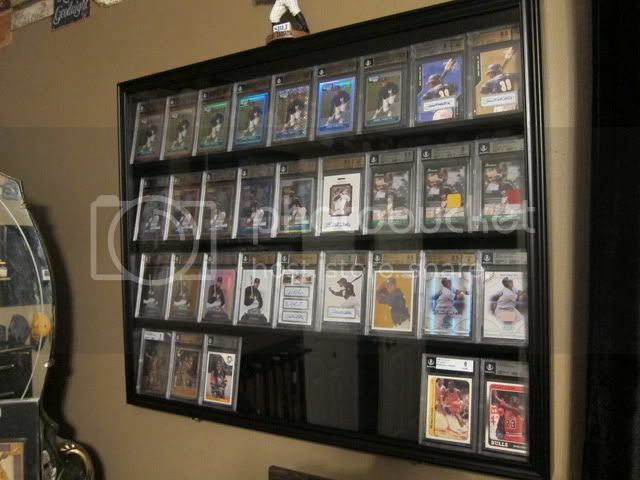 So, I would love to see your Bucco collections on here! Especially with the team being at .500 this "late" in the season. 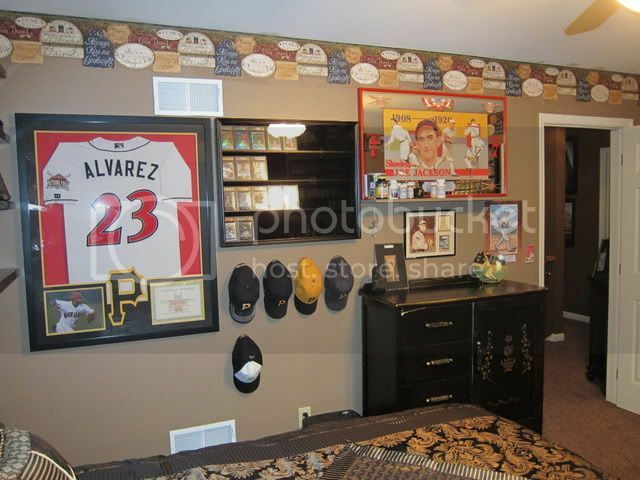 Re: Show off your Pittsburgh Pirates items! I'll start your Pirates thread off with my Pops Stargell game used Bicentennial bat. It's the only game used item of his that I own and hope to one day own one of his game used jerseys. I dont have any game used pirates items.But as i used to collect everything pittsburgh.I do have these pirates items in my collection. THAT is awesome, Dewey! 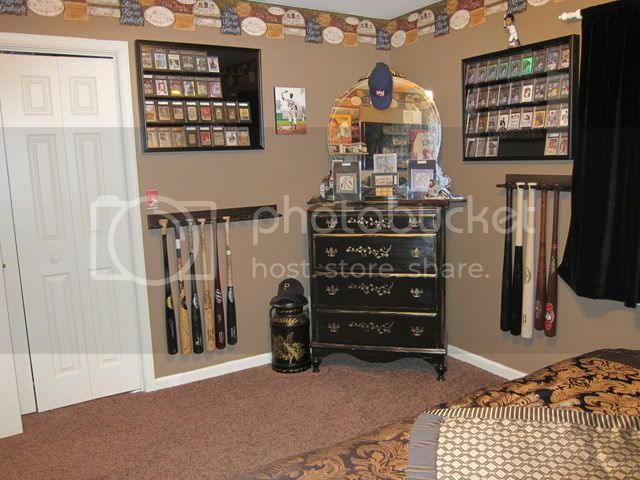 Man, I would love to own anything Willie game used. Heck, even an authentic autograph would be nice at this point. My absolute favorite, and the classiest player I ever rooted for. Thanks! I've posted this before but Willie's grew up in my hometown and went to my old high school. Our high school field is named after him. I recently picked up a couple of his Mitchell & Ness jerseys because that's the closest I'm going to get to one anytime soon! I used to have some Bucco SGA bobbleheads, but sold all of those or gave them to family after moving from coast to coast years ago. I will try to dig up an old photo of them tonight. Wow, a Buccos thread, alright! Pictured are my game used jerseys (l to r, Aramis Ramirez, Adam Laroche, Nate McLouth and Fernando Gonzalez) and hats (Rick Rhoden). My favorite is the 1973 Gonzalez because it still has the commerative "21" patch for Roberto Clemente, something very rare since almost all of these jerseys were stripped of the patch and recycled through the minors. But Gonzalez got to take his home (I have an LOA from him). not so much pirates, but clemente. this was at my old house and most items have been sold and still have some for sale. Four items, the best of which is a 2001 9/11 cap given to me by Kevin Young. The US flag on the side is directly embroidered into the cap fabric. The 2002-07 versions just had a flag patch heat-pressed on the cap fabric. I also have a 2002 Bruce Tanner cap, and BP jerseys of John Grabow and Dave Clark.